For no one is it easy to make the radical change in a way of life which is required by conversion to the gospel. It is doubly difficult for a minister, since the change then involves not only loss of livelihood but also an admission of the inadequacy of his previous faith and teaching and therefore of his life's work up to that point. When the gospel found John Heidenreich he was a successful and happy Congregational minister in Buffalo, New York. While he had had Church contacts before, had visited Temple Square in Salt Lake City, and had even read the Book of Mormon, he had not been impressed with the Church as a Christian society. This attitude changed in the course of several months mainly through the conversion and testimony of his teen-age son, to whom he gratefully acknowledges his great debt. Today Brother Heidenreich continues to repay that debt at least partially by his service in the Church and especially by the guidance and teaching he gives to youth as principal of a seminary in Salt Lake City. My introduction to the Mormons came when I was pastor of The First Congregational Church at Riverhead, Long Island, New York, about 1950. Fay Perkins with two of her children moved into our community from Murtaugh, Idaho. She was of the Mormon faith but began attending our Congregational Church; she explained that the nearest branch of her church was about sixty miles distance from Riverhead and that she was able to attend her sacrament meeting only occasionally. She asked that she might be a member of our congregation. She said she would not join our [p.105] church as she was a Mormon, but she would be pleased to attend our worship services and contribute. She was warmly accepted and we came to love her dearly. She was one of God's choicest daughters and a fine ambassador for her church. We learned much of the history and some of the standards of Mormonism from this fine woman who became a cherished friend of our family. My first direct contact with The Church of Jesus Christ of Latter-day Saints came in June of 1952. I had been chosen by our New York Conference as a delegate to the General Council of Congregational Christian Churches meeting that summer in Pomona, California. En route to this meeting, I went with my son, Paul, to Salt Lake City. We registered at a small motel near Temple Square on a Saturday morning. The next morning we attended the broadcast of the Mormon Tabernacle Choir and "The Spoken Word." After the broadcast, a conference of the Mutual Improvement Association was in session; we also attended this meeting. On that Sunday the tabernacle was packed. Even the entrance-ways were filled with people who could not get into the building. There was a chain across each doorway keeping any more people from entering. I later told my congregation that this was the first time I ever saw people chained out of church. I was tremendously impressed with the quality of the program presented that morning, with the wholesomeness of the youth who took part, and with the spiritual impact of the meeting. I had never seen a meeting like it before. It touched me deeply. When I returned to Long Island that summer after the conference in California, I told my wife that I had been to the greatest meeting I had ever attended and that it wasn't in California but in Utah! I told her about the great MIA program of the Mormon Church. She expressed a desire to come to Utah sometime on one of our summer vacations. The next summer, 1953, we came to Utah with a young physician and his wife who were active in our church. They were British people and had never seen our great West. They proposed the idea that we take our vacation with them and tour the West. We were not sure we could go; such a trip would be a strain on the family economy. One day Mrs. Taylor, the doctor's wife, came to the parsonage and told us to make our plans for the trip. They had just bought a new Chrysler, and she informed us that we were going on this trip at her expense. We knew then that we were going; Mrs. Taylor was the great-granddaughter of Isaac Singer and had inherited a fortune in sewing machine stock. We came again to Temple Square, where the doctor acquired two missionary copies of the Book of Mormon. He asked me, "What do you know about this book?" I replied that I knew practically nothing about it. He asked, "How does it come that you are a clergyman and know nothing about this book?" I told him that I had not been able to master all the religious literature in the world. He replied, "Yes, but you are an American and this book is American. You should be familiar with your own ancient American cultures if you are an educated man." I had been properly rebuked; I began reading the book. My first impression of the Book of Mormon was that it was a poor imitation of the Bible and probably a forgery. I later had to revise my judgment and entirely reverse myself after a more careful reading of the book. Dr. Taylor found the Book of Mormon fascinating, and we talked about it frequently as we traveled together that summer. When he wanted to bring up the subject of the Book of Mormon, he would say, "Well, let's get going on the Gold Plate Special." This was my introduction to a book that was to change my life. Our visit to Temple Square that summer made its impression. We had taken the tour on the temple grounds and had met some spiritually dynamic people. Our interest in the Mormons greatly increased with this visit. From 1953 to 1958 we had no contact at all with Mormon people. During most of this time, we were busily engaged in a church building project in Buffalo, New York, where I had taken a pastorate. We had worked hard and had much satisfaction in the growth of the congregation and in the completion of a new educational building that was added to the church. The name of our church in Buffalo was the Eggertsville Community Church (Congregational); it was a small church with much vigor. We came to love the people of that church very much. After the new educational building was completed and dedicated, the people of the parish urged us to take a restful vacation. I said to my wife, "Let's go back to Temple Square. It's the most peaceful place I have ever been to." So we went again to Temple Square in August of 1958. That summer I met a man who was a guide on the Square who has influenced my life more than anyone I have ever known outside my own family. His name is Truman Madsen, and he is a professor of philosophy at Brigham Young University. He told me about the restoration of the gospel. I had never heard about this before and the idea made a deep impression on me. 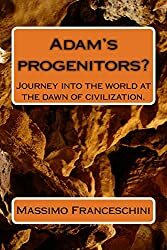 I told Brother Madsen at the time that if the gospel hadn't been restored it certainly needed to be restored, considering all the innovations and distortions that had been introduced into the Christian Church since New Testament times. There was a long distance between someone telling me that the gospel had been restored and my believing that it had been restored. I would have liked to believe such wonderfully good news, but it seemed incredible that such a tremendous event had occurred in history and the world had taken so little note of it. Up to this time I had gathered the impression in talking to Mormon people that The Church of Jesus Christ of Latter-day Saints was more of an ethical society than a church. Their emphasis on the Word of Wisdom, social welfare, and education had led me to this hasty conclusion. After learning more about the Church, it became clear that there was a very solid theological core in its structure. Because of the interest we had shown in the Church on our visit to Temple Square in 1958, missionaries called on us in Buffalo that fall. There were four of them in our area. They wanted to give us the first lesson on the Godhead, but we told them we had been out to headquarters and had a basic understanding of their church and did not care to have the lessons. I invited them to meet with me at my church on Thursdays, which was my day off. So each Thursday afternoon they came for a gospel discussion. I looked forward to their coming each week. We also had them frequently at the parsonage. My wife says that we had fifty [p.108] different missionary elders at our home for meals that winter and spring. About this time we had a "problem" in our family. He was fifteen. He didn't think highly of our continuing association with the young Mormon missionaries. He had not been enthusiastic about our church, although he had a deeply spiritual nature. One time I told him, "Fred, if I were a butcher, you would have to carry meat. Since I am not a butcher, but a minister, you have to go to church." My logic didn't seem to impress him. After some time, however, he became interested in the missionaries and asked if he might go over to the branch where the Latter-day Saints held their meetings. I told him he had better go, that he might learn something. He usually gave us a report on these meetings at the Sunday dinner table. We thought it was quite amusing at times. He became very defensive in favor of the Latter-day Saints and always, in any comparison, the Congregationalists came off poorly. I remember one day Fred said to me: "Dad, you should hear them sing. It comes from the heart, not like that phony thing over at your place." We were quite proud of our music at Eggertsville Community Church. We had Dr. Paul Homer from the Teachers College in Buffalo directing our choir, and we had Victor Dana playing our new organ; we thought he was about the best organist in Buffalo. He had been a church organist for years. Both of these men were professional musicians under salary from our church. We tried to put on a sacred concert every Sunday, but it didn't impress our son. He had been attending the branch about two months, and he came home one night glowing like a Christmas tree and said he had a testimony. My wife looked at me and said, "What is that?" We didn't have the word "testimony" in our church vocabulary. I explained to her that it was an emotional feeling that people get about their religion. I told her that they get happy and get up in their meetings and testify. She didn't think much of the idea. However, there was soon to be a great change in the way our family looked at things. It is hard for anyone to change his pattern of life, but much easier for the young than the older. We saw a great change come over our son. After he gained his testimony, he changed from being a very negative person to a person with very positive attitudes. His mother and I agreed that whatever had happened to him, it was good. One day he said to me, "Dad, if you and Mother will go to Palmyra and pray with me in the grove where the Prophet saw his first vision, you will see what I see. You will leave this church and become a member of The Church of Jesus Christ of Latter-day Saints." At the time it seemed very unlikely that I would ever join another church; I loved my church and had no desire to leave it. But we went to Palmyra and prayed there in the grove on a mild, sunny day in February, 1959. Coming out of the grove I could see how intent our son was in his new-found faith. A fear entered my heart that he was slipping away from us. I responded to this fear in a regrettable manner; I ridiculed the idea of Joseph Smith being a prophet. I said, "Whoever heard of a prophet by the name of 'Smith'?" My son was offended at the remark and greatly disappointed at my response at coming to the grove. He later told me that he had been impressed in his prayers that if his parents went to the grove in Palmyra they would join the Church. I must at this point in the story say how much I owe my son, Fred. Had it not been for his strong testimony that impressed me so much, and the encouragement I also received from his mother, I doubt that I would ever have had the courage to make the break from my old life. I am sure he has done more for me than I can ever do for him. My love for him is very great and very special. At this time I was having many conflicts in my thinking. I had come to a serious consideration of the Book of Mormon. My approach to the book had been very negative up to this time. The book was deeply disturbing to me. I couldn't seem to free myself from the grip it had upon me. By special training and long association, the Bible held a unique place in my esteem, and I could not accept another book to be equal to it in divine authority. I was fascinated with the Testimony of the Eight Witnesses which appears as part of the introduction to the Book of Mormon. Who were these men who had stood firmly in their testimony to their deaths? I did some research and learned that they were brothers, farmers, and land owners. They were good citizens. They would have been acceptable men on almost any jury. They said that they handled and hefted the plates, and that the plates had the appearance of gold upon which were engraved characters or letters that appeared to be an ancient work. The thought occurred to me that if there was a possibility that the Book of Mormon was what it claimed to be, it would make a great difference in my life and the life of my family from that time on. It was an important day when I decided to pray about it. I was fully confident that the Lord would give me an answer. He had spoken to me before in times of special need, and I was sure he would speak to me again. The answer did not come quickly or easily. Several weeks went by. I had expected a yes or no answer, but no answer came. Finally when the Lord did respond to my prayer, I didn't understand what he was saying to me. The Lord did make it clear to me in this matter that my problem was not with the Book of Mormon but with the Bible. This answer from the Lord shocked me. 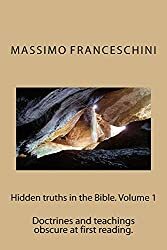 I believed the Bible to be literally true, and I could not comprehend why the Lord questioned my belief in the book from which I had preached during all those years. I interpreted this disclosure from the Lord as "letting me off the hook" on Mormonism and meaning that I could return to my familiar scriptures and become more proficient in the knowledge and use of them. The Book of Mormon and other Mormon literature was put aside, and I began to re-read the Bible; I read the Old Testament prophets, the letters of Paul, and the Gospels. To my great surprise, I discovered so much new understanding and so many fresh insights into the Bible that it was as if it were a new book. This experience gave me much joy. It was like a veil being lifted; things that I had never fully understood or that had had very little meaning for me, suddenly became clear and meaningful. Like a revelation, it broke upon my consciousness that it was the Book of Mormon which was teaching me a true and more complete understanding of the Bible. Through the guidance of the Spirit and the light I gained from the Book of Mormon, I learned more in a few weeks about the Bible than I had learned from all the years of study I had devoted to man-made theologies and ancient languages. So I took up the Book of Mormon with my Bible, and I have read them together since that time; they have become precious companions. While I was going through this struggle over the Book of Mormon, one night I had a spiritual dream. A spiritual dream is different from other dreams in its vividness and spiritual character. Such an experience had never happened to me before, nor has it happened to me since that time. In Joel we read: "And it shall come to pass afterward, that I will pour out my spirit upon all flesh; and your sons and your daughters shall prophesy, your old men shall dream dreams, your young men shall see visions." (Joel 2:28.) The Lord was certainly pouring out his spirit upon all flesh. These very words from the prophet Joel had been quoted by the Angel Moroni on the night of September 21, 1823, when he appeared to the prophet Joseph Smith. The dream: I found myself in a large room furnished in a contemporary style. If I should ever see that room again, I would recognize it immediately. Lying on a couch was a man reading a book. The book was held in the man's hand in such a way that it hid his face from my view. Since I was at that time struggling with the Book of Mormon, I was sure that that was the book the man was reading. I said to him, "Do you believe what you are reading is true?" He answered, "No, I don't believe it. It's the most fantastic thing I have ever read." I was annoyed at his answer and also at his rudeness in not rising from the couch or lowering the book from his face. So with some heat in my words, I answered him. "Well, I believe it's true and I'll tell you why it has to be true." Then I proceeded to speak the most golden sentence that ever passed my lips as to why the Book of Mormon had to be true. That sentence came straight from the throne of God. I could never have thought of anything so wise and obviously true. This was my answer. I knew then that the Book of Mormon is a genuine record of an ancient people preserved by the hand of God. I thought that I must memorize the sentence so that I would always remember it. So I went over and over the sentence so that I could retain it in my memory. While I was mentally repeating the sentence, the man on the couch lowered the book from his face, and I saw who it was. It was me! I was so startled that I awakened, and I couldn't remember a word of the Golden Sentence or even what it was like. The dream disturbed my peace of mind for several days. Then one day I was driving down to church, and the meaning of that dream suddenly dawned on me. I believe the Spirit revealed it to me. Here is the meaning: The man that someday I was to become was talking to the man that I was—that insensitive, unbelieving man lying on the couch. I was disappointed at the loss of the Golden Sentence, but the Spirit gave me assurance that the sentence would be given me when I needed to use it and was worthy to receive it. Fear entered my heart many times while I was having these experiences. I felt my little world of neat philosophies being smashed. The missionaries had been making their regular weekly visits, discussing the gospel with us. They seemed to be expecting some kind of positive response from us. I felt that a decision would have to be forthcoming. So one day in the spirit of panic I wrote out carefully "Eight Reasons Why I Could Never Be a Mormon." The next time the missionaries came, I presented them with my eight-point decision. They seemed stunned with disappointment and went away crestfallen. After some days had gone by, I said to my wife, "I sure miss those missionary boys. I could talk to them about the things of God and they understood. When I try to talk to our own church people about spiritual things, they are embarrassed and want to change the subject. They say, "Pastor, that's your department. If you say it is that way, that's the way it is." I said to Bernice, "I think I'll phone the missionaries and ask them to come over." She said, "If you do, we will go through this whole thing again." "Well," I said, "I'm going to do it anyway," and I did. And sure enough, we were soon going through "the whole thing again." I began to have the unhappy feeling that time was running out on me as the pastor of the Eggertsville Community Church. One morning as I was reading the Book of Mormon, I came upon these words: "…dispute not because ye see not, for ye receive no witness until after the trial of your faith." (Ether 12:6.) It seemed that these words lifted up off the page and came into my consciousness as though the Prophet Moroni had written them especially for me. I knew that soon my faith was to be tested to the limit, and then I would know for a certainty what I desired most to know; I would have what my Mormon friends called a testimony. I was not to have that testimony until my faith had been tried, and I did not know how the trial would come. This question kept recurring to me: How could I ever leave my church? Had not the Lord called me to be a pastor many years ago? I had never doubted that calling. Had I been mistaken? If The Church of Jesus Christ of Latter-day Saints was the true Church of Christ upon the earth, why had the Lord not called me into that Church? These thoughts left me confused and questioning. One afternoon when I was in my bedroom at prayer, the Lord spoke to me clearly these words: "You can stay in this beautiful garden that you have made, or you can come with me and play for higher stakes." It is so hard for the uninspired human mind to comprehend the mind of the Lord. I was puzzled. It seemed impossible for the Lord to have spoken such words. My puritan upbringing revolted against the thought of the Lord using the terms of a gambler. It also seemed unlikely that the Lord would mix his metaphors in an English sentence. I thought my senses must be deceiving me. Yet I heard the words as clearly as I ever heard words spoken from human lips. It occurred to me some days later that the Lord was telling me that there was a great risk involved in my accepting the concept of the restored gospel as taught by The Church of Jesus Christ of Latter-day Saints. I had a choice. I could remain where I was, where I had achieved a ministry helpful to many people, also where I had attained a measure of success and material security; I was doing a work of service and mercy that was acceptable to the Lord. Or I could leave it and labor for greater, celestial rewards for myself and my family. Also, there were "higher stakes" of service to others that I could not imagine at that time. (Sometimes the Lord takes things away from us so that he can give us something better—he took away a ministry I loved and gave me a much larger ministry of teaching the gospel to thousands of youth.) But should I prove unfaithful in the higher calling it would be much better if I remained in "the garden" of service where I was. The Lord did not "gate-crash" my soul. I had the choice. It was an awesome challenge; I stood to lose my soul if I failed. But I had a warm feeling in my heart that the unseen reward was so great that it was worth any risk. One evening I was turning the pages in the Doctrine and Covenants and I came upon the 109th section, which I had read before and marked for a more careful study. That evening I bathed my soul in that great section. I know of nothing in the Bible or anywhere else more lofty in its concept of the meaning and purpose of the Christian Church. It is a prayer that the Lord gave the Prophet Joseph which he was to offer at the dedication of the Kirtland Temple. That evening it came down upon me with the force of an avalanche that Joseph Smith was in word and deed a prophet of God. Only a prophet could have such rapport with God and have such penetrating insight into what the Church of Jesus Christ should be like upon the earth. "We are going to leave our church. We are going to sell everything we have and move to a Mormon community in the West where I can study more about the restoration of the gospel, because I believe it is true." I couldn't believe what I was saying! I felt as if I wanted to gather up my words and put them in my pocket so they couldn't be heard. It was very hard for me to make this statement. I couldn't say that I wanted to be baptized and join the Church; that was too big a step for me at that time. Bernice wept. At first I thought she was upset because we were throwing away the only material security that we had. But she was crying for joy. She had wanted to be baptized for some time, but wanted me to make the decision because it affected my livelihood, and she did not want to influence me to make a decision with which I was not in complete accord. During our last visit to Temple Square, Arthur Bishop, a guide on the Square who had been interested in us, had given her the book, A Marvelous Work and A Wonder, by LeGrand Richards. She had been convinced of the truthfulness of the restored gospel by this great missionary book. She was always a step ahead of me in our search. Both she and Fred were ready for baptism some time before I was; I had so much theological driftwood to get over. Next came my notification to the parish that I was leaving. I couldn't tell them that I was joining the Mormons. I wasn't sure at that time that I was going to take the big step. I told them that I loved them, and that if I were not leaving the pastorate I would rather serve them than be the pastor of any other church. I suspect many of them surmised we were looking toward the Mormons because I had been very open in expressing my admiration for The Church of Jesus Christ of Latter-day Saints. There was a great burden on my heart. I had the feeling that I would never be well received by the Mormons because I had been a minister of another church. After all, I had not been born in the Mormon faith, and none of my ancestors had crossed the plains with covered wagons or handcarts. I thought we might go to San Diego, California. There were many Mormon people in that city. The thought had come to me that I might earn a living as a professional fund-raiser and work for one of the large fund-raising organizations on the West Coast. I had some professional training in this field. After our final Sunday in the Eggertsville Church in Buffalo, we had planned to make a brief visit to see our married daughter and her family in Indianapolis. We were there over a Sunday, and we attended an LDS ward. It was their fast Sunday; several high school young people bore their testimonies. My heart was deeply touched by these kids. I told my wife that I would give almost anything if I could feel as they did. She assured me that the time would come when I would have such a feeling. We had one more project to complete before we could start west. We wanted to see the Book of Mormon Pageant at Palmyra. I told Bernice that we wouldn't dare go to Utah and admit to the Mormons that we had lived several years in Buffalo and had never attended the Book of Mormon Pageant. We returned to Palmyra one hot August day and witnessed the great pageant. That day when we came to the Hill Cumorah something happened to me. My burden rolled away, and my soul was flooded with joy as the missionaries gathered around us who had been guests in our home in Buffalo. I knew then that I wanted to be a member of The Church of Jesus Christ of Latter-day Saints more than I wanted anything in the world. I was hardly aware of the great pageant; there was a greater drama going on in my heart after I had taken the big step and made the big decision. When we passed through Buffalo the next day to pick up our last mail delivery, there was a letter there from Ted and Florence Jacobsen inviting us to stay with them in Salt Lake City until we could get settled and knew what we wanted to do. The trip to Salt Lake City was made with some difficulty. We had a serious automobile accident in Ohio that completely demolished our new car. But once in Salt Lake, it took only two or three days to complete arrangements for our baptism while we were living in the Jacobsen home. 1. After long and careful examination of the life and teachings of Joseph Smith, I am convinced that he is a prophet of God to the modern world as surely as Isaiah was to the ancient world. I believe that God the Father and his Son Jesus Christ did appear unto him and called him to be a prophet and revealed to him many great and precious truths. I believe his witness and teachings are true. 2. I am convinced that The Church of Jesus Christ of Latter-day Saints is the true Church of Christ because I believe that its doctrines, articles of faith, and practices fit the scriptures of the Old and New Testaments more closely than the teachings of any other church. 3. I believe that The Church of Jesus Christ of Latter-day Saints exalts Christ and gives him a place of preeminence he receives in no other Church. 4. I believe that the Book of Mormon, the Doctrine and Covenants and the Pearl of Great Price are authentic, authoritative and are nearer the source of their origin than the Bible is to its origin, that they are inspired of God and divinely given and are therefore as binding upon us as the Bible. I believe these sacred writings contain the restored gospel of Jesus Christ to our modern world, that they contain the precious truths of our preexistence, the wonderful opportunities and privileges of our present existence and the glorious promises of our future life with God. 5. I believe that the priesthood of The Church of Jesus Christ of Latter-day Saints is also authoritative and divinely given, that it was restored to the earth enabling the Church to be reestablished and to be guided by men who are called of God and given the authority to administer the ordinances of the gospel and to officiate in their several offices. 6. I believe in the continuous flow of the word of God through inspired prophets who have authority to receive prophecy. Such authority is not to be assumed, but is divinely given to him who has been called and ordained for this purpose, who continues to show himself worthy and is sustained by the voice of the Church. 7. I believe the fruitfulness of The Church of Jesus Christ of Latter-[p.118]day Saints during the past century is a strong testimony to the truthfulness. Its accomplishments in colonization, education, industry, health, missionary service, and welfare are unique in world history, and its moral influence upon its youth is unequaled among all the churches of the world. On the 17th day of August, 1959, we were all three baptized on Temple Square. On that same day there was an earthquake that did considerable damage in West Yellowstone National Park. 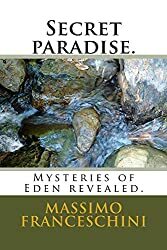 There must be an underground subterranean connection between the Yellowstone Park and the tabernacle on Temple Square; a Congregational minister got baptized into the Mormon Church and the earth shook! It was indeed an earth-shaking experience for us. I was baptized by Brother Truman Madsen. Bernice was baptized by Brother Ted Jacobsen and Fred by Henry Call, a missionary who had been close to him while we were in Buffalo. The wonderful experience of seeing my sweetheart come up out of the waters of baptism is something I shall never forget. Never had I loved her so much as I did then. I knew that we would be together forever in our Father's kingdom. We were about ready to be on our way to California, but our life took a sudden turn in an unexpected direction. Bishop Joseph Wirthlin of the Bonneville Ward had recommended us for baptism. The people of that ward, especially Brother and Sister Jacobsen, felt some responsibility for our future. Elder Henry D. Moyle, who was in the First Presidency of the Church, suggested that I might serve in the Church School System as a seminary teacher. An interview was arranged with Brother William E. Berrett, Administrator of Seminaries and Institutes. Brother Berrett put me through a rough interview and was satisfied with my theological and academic qualifications as a prospective seminary teacher. It was next arranged for Bernice and me to meet with one of the General Authorities of the Church for an interview. All prospective seminary teachers must be interviewed by a General Authority before they can be teachers in the system. Bernice and I met with Elder Hugh B. Brown. He has a large brass hourglass on his desk. When we were seated in his office he turned the glass over. He talked to us of the restoration of the gospel. He told us some things about the temple: We felt a warmth of love in the assurances he gave us that we had made a good choice in joining The Church of Jesus Christ of Latter-day Saints. The sand had run through the glass, and we had continued with him long after the time of our appointment. The hour was late. He arose from his seat, and we quickly did the same, aware of the fact that we had overstayed our time. He came from around his desk, put one arm around my shoulder and the other around Bernice's shoulder, and drew us together and to himself in a firm embrace as he said these words. "The Lord has prepared you to come to us." I knew from that time on that we would be received and loved by the Mormons because we had all come from our Father's home, and we would be striving together to return again to our Father's home. So I became a seminary teacher just ten days after my baptism! Every day that I am with the young people, I am aware of Elder Brown's words. The Lord has prepared me for this special, choice assignment where I continue to serve. When the new seminary was built at Skyline High School in Salt Lake City in 1962 I was assigned to be there, and I have continued there up to this time. As I stood in the chapel, the Holy Ghost came upon me and took my speech and my breath away. It was a joy beyond anything I had ever experienced. I didn't seem to need my breath for a short time. Had the Spirit remained with me very long, I am sure my body would have been shaken to pieces; it was a joy too great for the physical body to endure for long. This experience was to me the fulfillment of a promise the Lord had made to me some years before when I was pastor of the First Congregational Church at Riverhead, Long Island. There are personal aspects of this experience which I cannot put into speech or print, but it was a wonderful confirmation to me that we had indeed responded to the guidance of the Spirit by accepting the restored gospel. The conversion story of an individual is never finished, because conversion is a continuing experience. I have a living hope which I share with my dear wife that we will see all of our children in the Church. We are grateful beyond any expression of words for the strong faith of our son, Fred, and for our sweet daughter and her wonderful husband who are active in the Church. Our son, Paul, and his dear wife, Barbara, are not members. We have a strong faith that they will be in the Church in time, because they are so good that they are not going to reject such an obviously good thing as the Church when they fully understand it and understand what it can do for them and their family. On January 15, 1966, I was at prayer early in the morning, and the Lord came to me and gave me the Golden Sentence. He spoke the words to me as clearly as I ever heard them from a human tongue. My heart was overwhelmed with joy. I awakened Bernice and shared the Golden Sentence with her. We went to the BYU that day and I shared it with Fred. The joy this experience gave me in further confirming my testimony cannot be expressed. Within the next few days something happened that brought me great distress. I used the Golden Sentence indiscriminately and too freely, and felt a severe condemnation of the Spirit. I was warned never to use the sentence unless I was directed by the Spirit to do so. Since that time I have used it only on a few occasions and always with a great spiritual effect. I have been reluctant to put into print some of the experiences told in this story and have given the matter much deliberation. The decision to do so has been made with a good feeling and with the hope that members of my family and others who may read it will find it helpful and strengthening to their faith. I bear solemn witness to the reality of God and his love for us. I know that he is, and that he is the rewarder of them that diligently seek him. I know that Jesus Christ is God's Only Begotten Son in the flesh, and that it is only through his redeeming love that we may gain salvation by our repentance and our grateful acceptance of his atonement and our continuing obedience of all the laws of the gospel. I bear this witness in the name of Jesus Christ. Amen.